Wedding rituals have been a custom practice done during nuptial ceremonies all over the world. Whether it may be a Jewish, Celtic, Spanish, or a Greek Orthodox ritual, the list goes on. If you’re planning to incorporate at least one or two practices, there are certainly a lot of ceremonies and rituals to choose from. 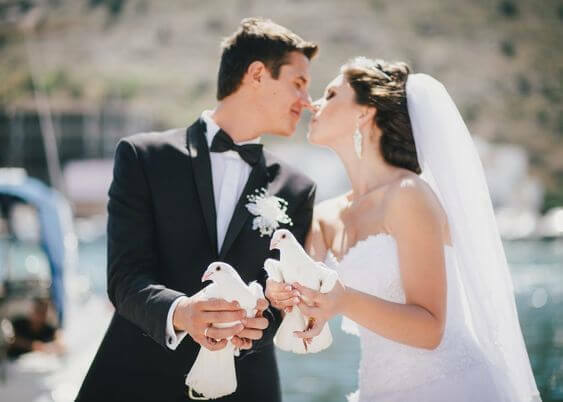 Tying the knot after you and your spouse have exchanged your beautifully written vows and symbolic wedding rings is a wedding ritual done by some couples during their weddings. Usually couples use a Fisherman’s rope or a ribbon to do this. 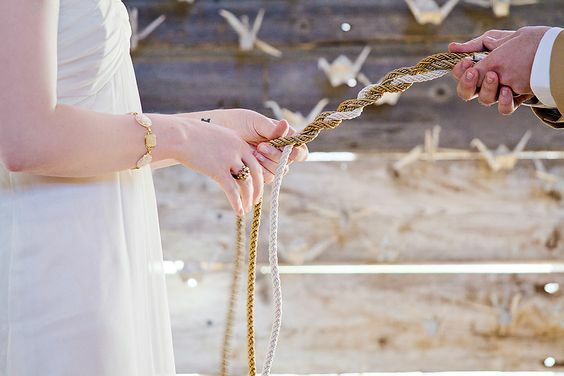 Literally tying ropes together as a couple signifies your everlasting connection with each other. It may seem odd for some, but newlyweds, especially in the United States perform this ritual to happily greet their new married life. To do this, the broom will be placed flat on the floor for you and your partner to jump over once the ceremony has ended. 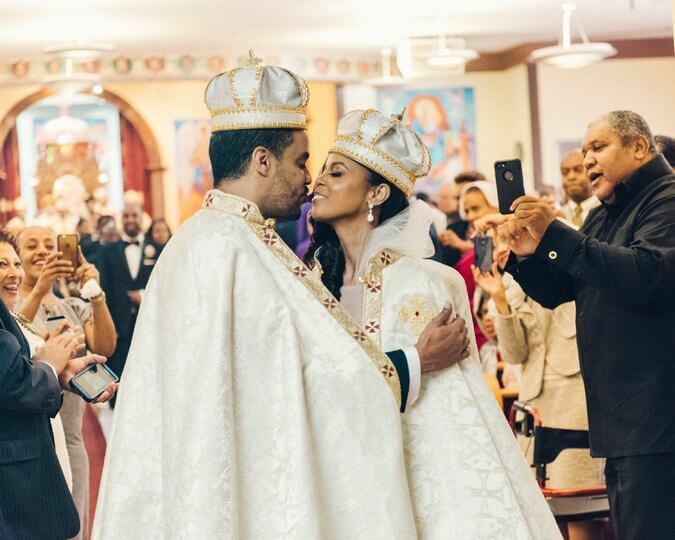 This wedding ritual has been carried out since the 1800s and was highly influenced by African weddings. 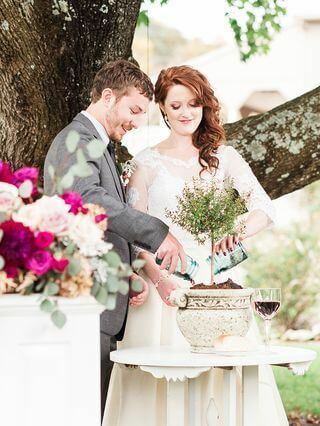 Planting a tree is another wedding ritual executed by couples after saying their fervent vows. 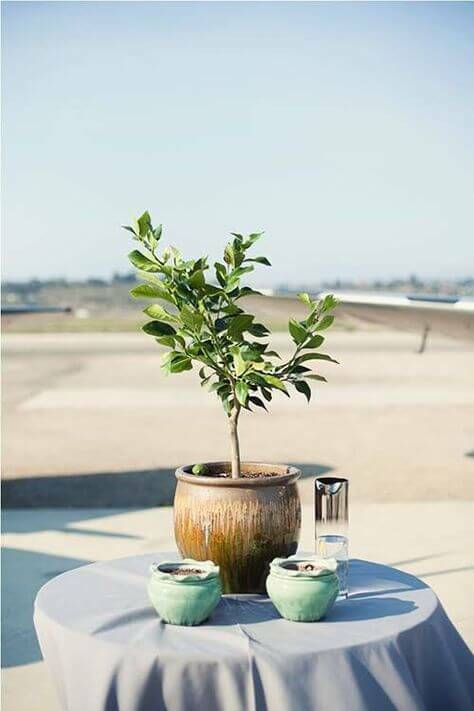 The tree you will be planting on a pot represents your relationship with your lover and its roots signifies the love and attachment that you have with each other. If you’re uncertain about planting a tree on the other hand, you may also choose to pot a plant instead. You’ll just simply need a potted plant and water and you’re good to go. To administer this ritual, you and your partner’s mother will each place a candle beside an unlighted pillar candle. Once you have both said your genuine vows, you and your spouse will light up the candle. Lighting of the unity candle represents your obligation to your partner. Just like the old times, writing love letters will never go out-of-style. 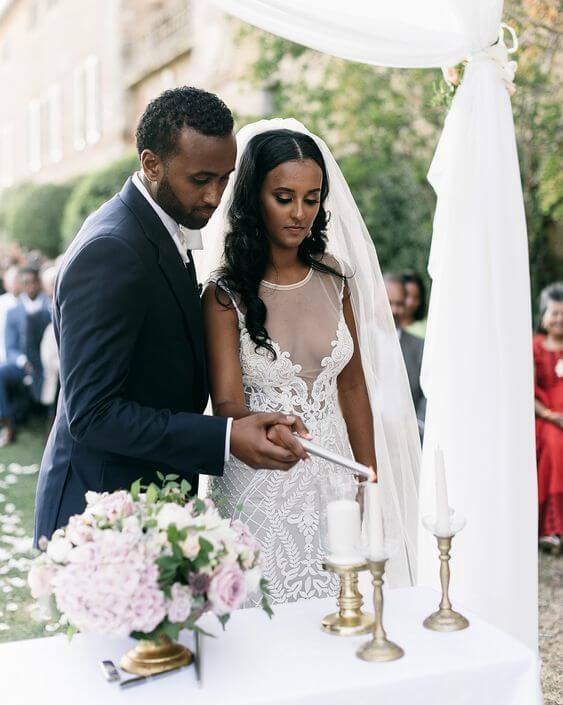 To practice this ritual, you and your spouse will each need to write a love letter expressing your undying love for each other prior to your big day. The letters will then be placed inside a box during your wedding and will be given to each other during your anniversary or any important date in your relationship. 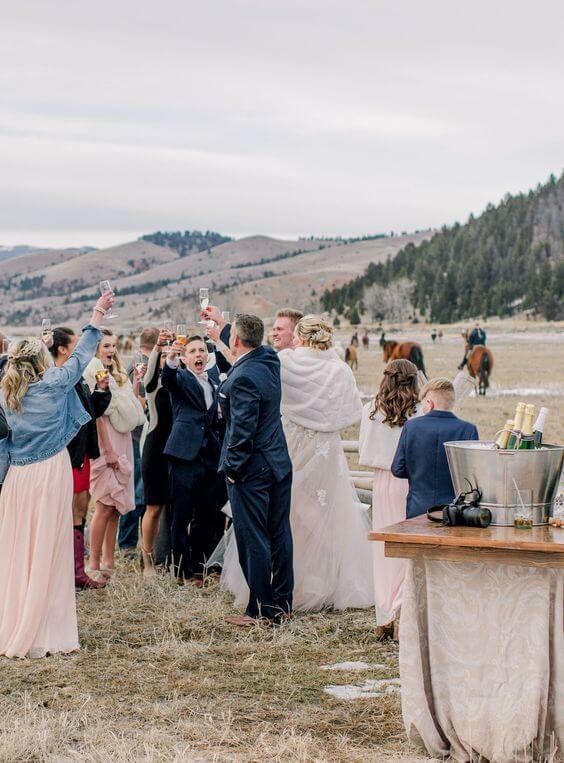 To not allow terrible weather to take over your wedding, you will need to bury an upside-down bourbon in your wedding location one month before your big day. 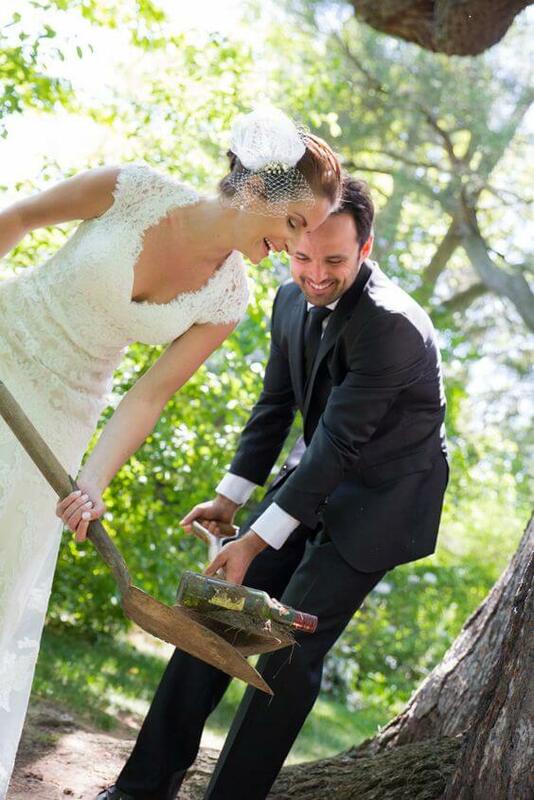 You will also need to get a hold of the bottle once you and your spouse have exchanged your “I do’s”. In China, brides and grooms serve their respective parents tea to represent respect and gratitude. It can also be done the other way around to signify the unity of two families that are joined together by the bride and the groom. 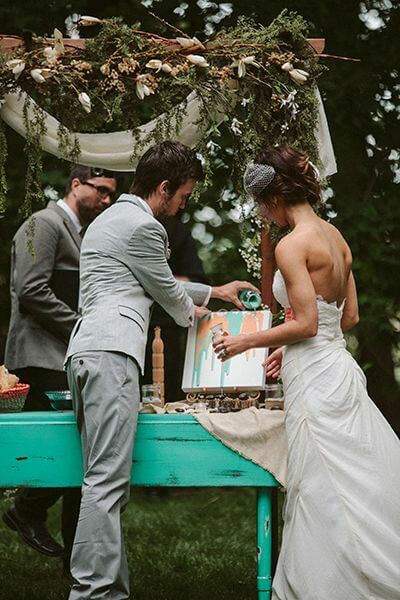 If you’re in to do something extraordinary and creative during your wedding ceremony, you may also opt to paint an abstract painting with your partner. Sometimes, couples even invite an artist to happily guide them in painting. A Jewish wedding tradition, breaking a glass covered in fabric means a lifelong marriage with your spouse. It should be noted that the groom should be the one to step on the glass with one foot once the ceremony is done. 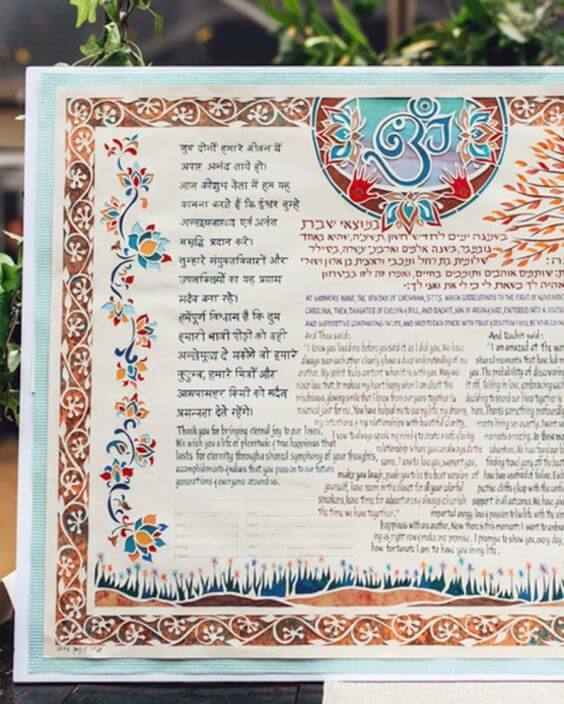 Signing of the Ketubah is a Jewish tradition. It is also similar to signing a marriage contract, except two individuals who have witnessed your love for each other are also allowed to sign the Ketubah. 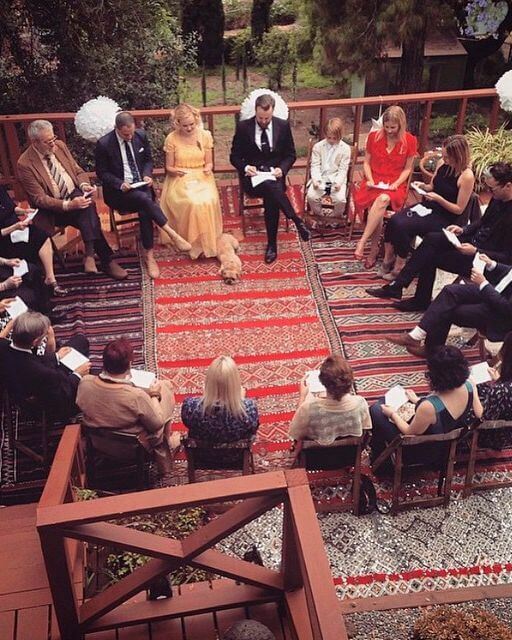 The contents of the Ketubah will then be read out loud during the ceremony. Also known as a ring warming ceremony, this ritual is performed when your guests passes on your wedding ring to give their blessings to you and your spouse. Passing of the ring usually occurs before or during the wedding ceremony. Water Blending Ceremony on the other hand is done when you and your spouse blends colored water together to create a mixture. To do the trick, you just need to add food coloring to the water and voila. You may also select which colors to blend in because each color represents a value. For example, color blue can represent everlasting friendship and good health. 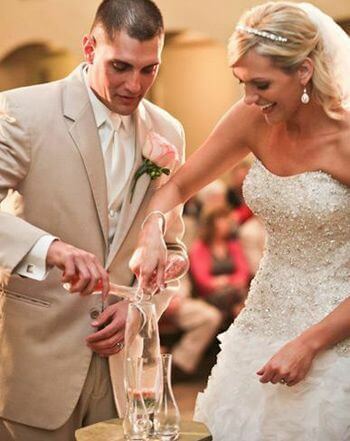 Proposing a toast is a wedding reception staple. Toasts are usually made by the wedding host and close family members and friends. 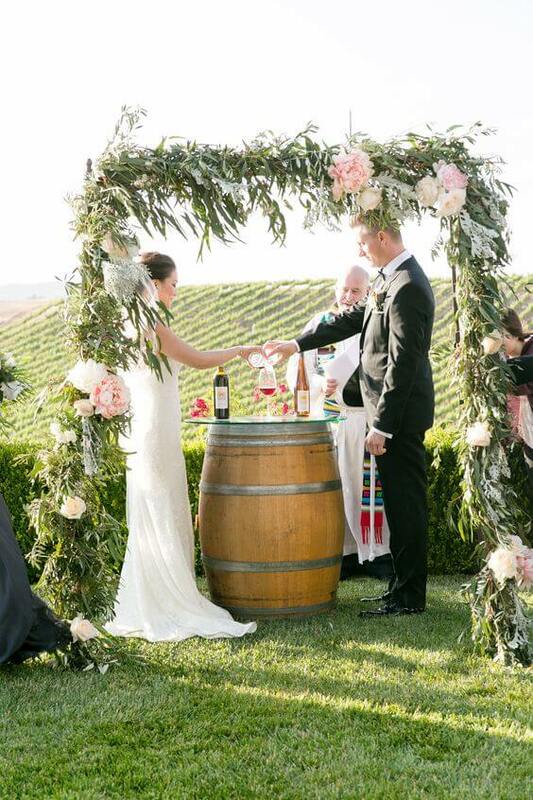 Proposing a toast symbolizes happiness, wealth, and good health for both the bride and groom. In order to fulfill this ritual, you and your spouse should store nostalgic and memorable items inside a box. For example, a movie ticket from your first movie together as a couple. Once you’re both done placing the said items, you and your partner will need to take turns in enclosing the box. It will then be open during your first wedding anniversary. Crowning on the other hand takes place when you invite a koumbaroi to admister you and your spouse’s crowning on your heads. You and your partner’s crowns are connected to represent unity. It is said that crowning is a Greek Orthodox tradition. Also known as El Lazo ceremony, this ritual is done by Filipinos, Mexicans, and Spaniards during their weddings. 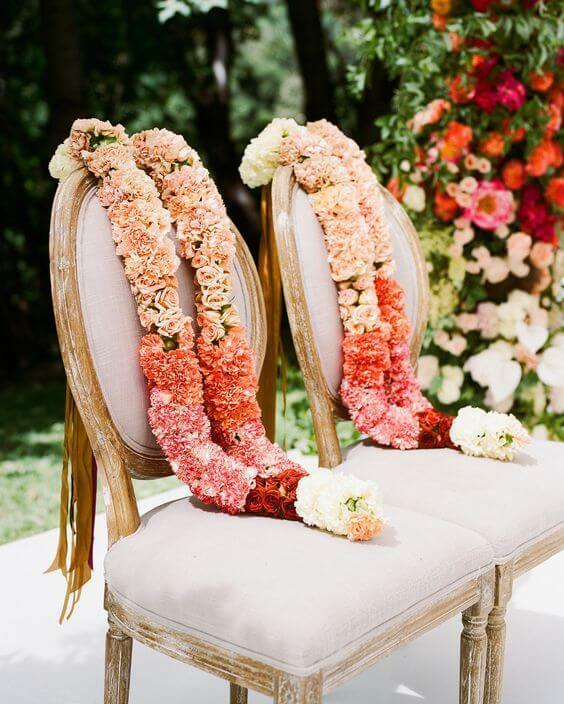 In this ritual, a floral rope will be wrapped around you and your spouse in the form of a number eight figure to represent unity. One glass of red wine and one glass of white wine is needed to administer this ritual. After you and your spouse have exchanged your symbolic rings, you will mix and drink the red and white wine in a glass to signify undividedness. 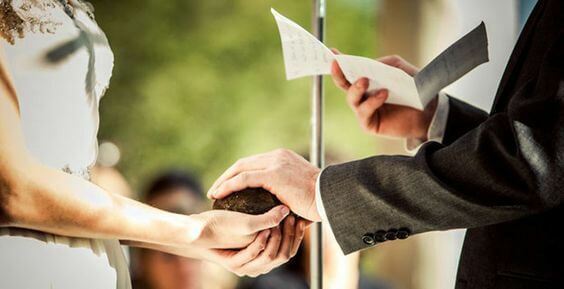 This wedding ritual is done when you and your husband to be say your heartwarming wedding vows while holding one stone together. It is said that this Scottish custom is a sacred act that connotes togetherness. 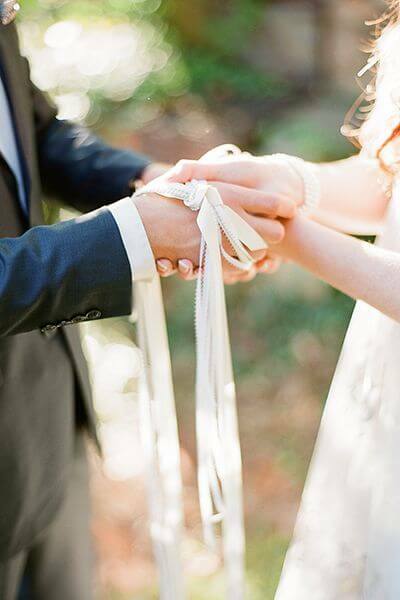 Handfasting on the other hand means the joining of you and your better half’s hands. While you both hold each other’s opposing hands, a wedding official will bind your hands together with a delicate fabric. It is important to note that handfasting a Celtic custom. A pair of white doves are released during a wedding ceremony to signify peace and the new life of the couple together. This uncommon wedding ritual is usually practiced by Filipinos. 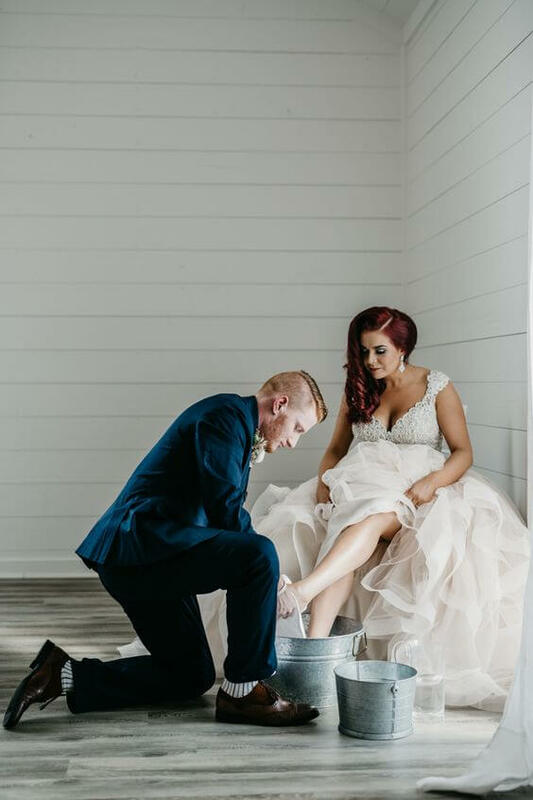 If you want to practice the washing hands ritual during your big day, you will just need a mid size bowl filled with water and two hand towels. 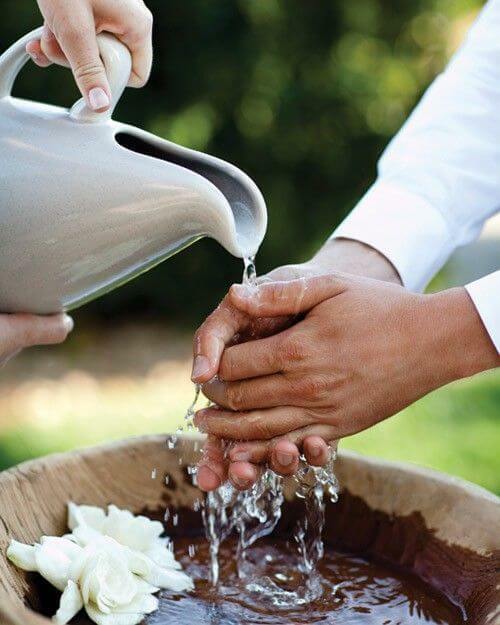 Once the wedding official gives you the permission to wash your hands together, you may do so and after which, you will need to wipe each other’s hands. This wedding ritual on the other hand is applicable to you and your significant other’s mothers. 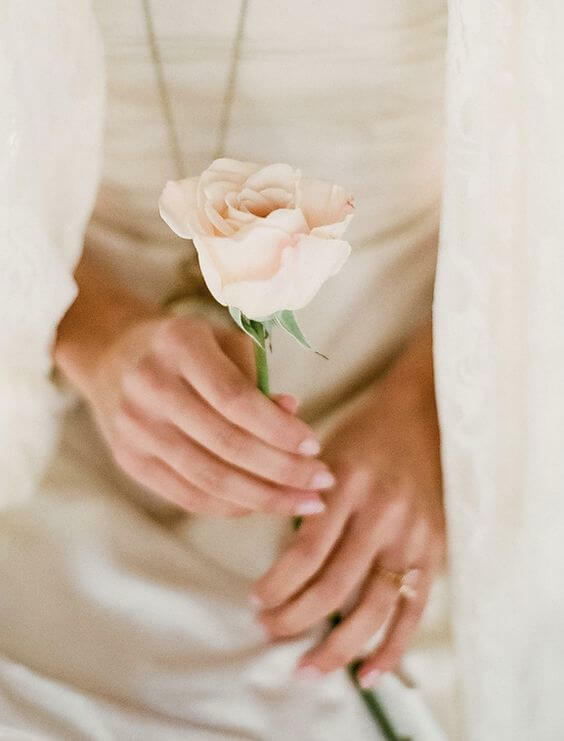 In this wedding ritual, you and your partner will give your mothers a rose as a sign of your endless love. Washing your partner’s feet is alternatively the same as washing of the hands. You just need a mid size bowl filled with water and a towel to execute this ritual. This custom signifies foregoing you and your better half’s misunderstandings in the past. 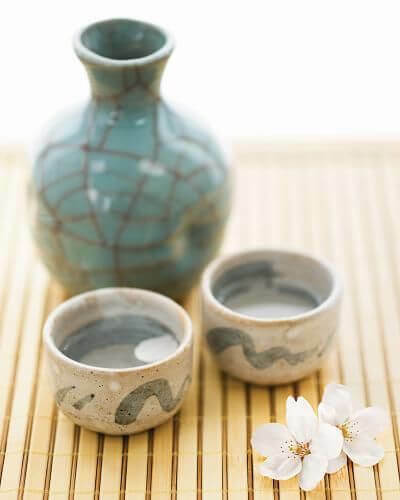 Sake sharing also known as san-san-kudo is a custom that started in none other than the Land of the Rising Sun (i.e. Japan). To practice this ritual, you, your partner, and all of your parents should take sips from three glasses of sake stacked together. You and your partner should take three sips while both of your parents should have a sum of nine sips from the cups. 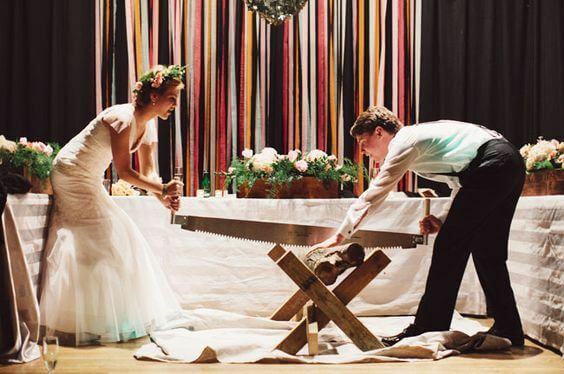 Log cutting, a wedding ritual done in Germany is usually administered after the wedding ceremony to test the couple’s ability in helping each other amidst challenges. 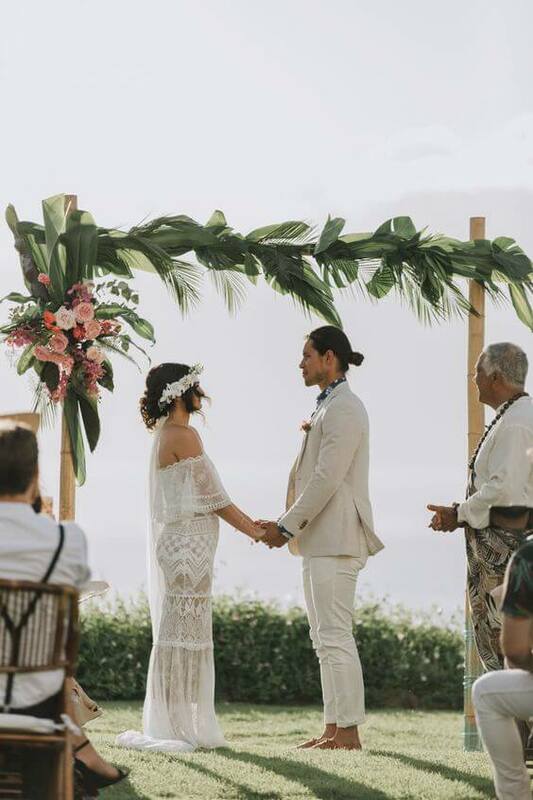 To perform this wedding ritual, you and your partner will need to gather your close family members and friends in one area to do a sharing of their feelings about the two of you. 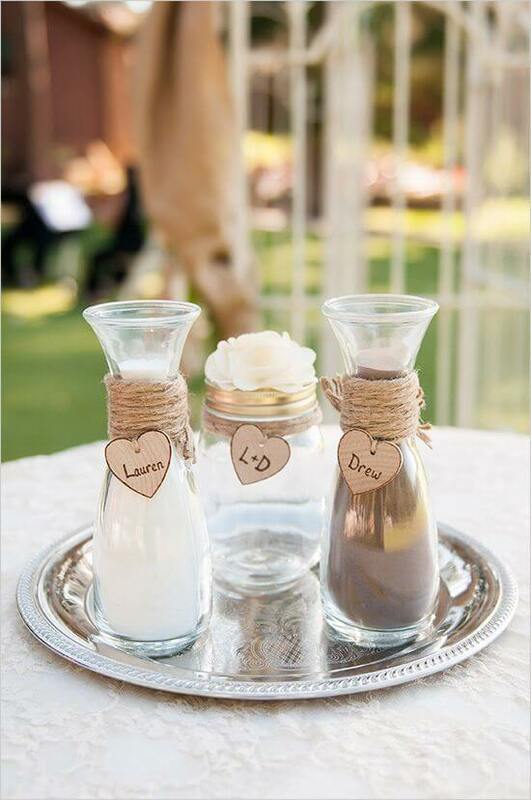 It is a simple yet heartwarming custom that can be done in small weddings. 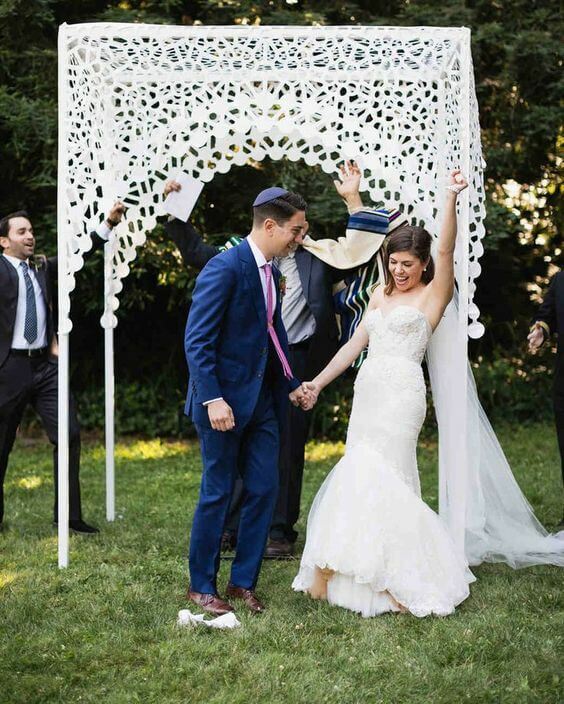 Encircling each other during your wedding ceremony is a Jewish custom that a lot of couples still continue to carry out during their big day. Happily going around each other in circles represents that you and your partner do not have any walls around each other. 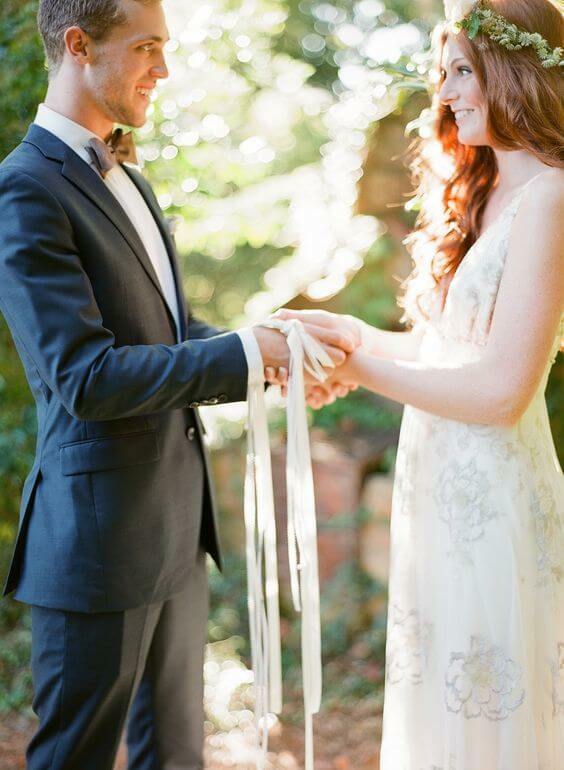 Why not intensify the fun during your wedding by playing tug-of-war during your wedding? It’s a fun and one of a kind activity that some couples do to further heighten the bond between their families. If you want to try doing this fun activity, you just need a strong rope that your family and your partner’s family can keep pulling together. 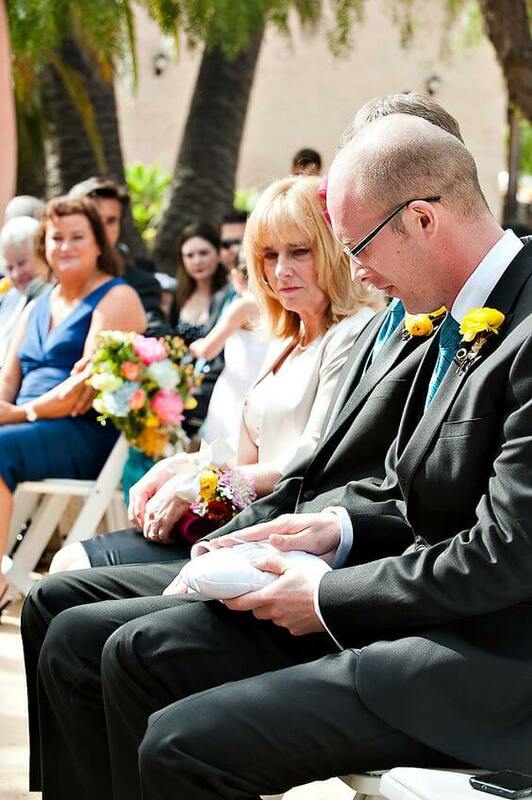 Saying your beautifully written vows under a flowery canopy is romantic and meaningful. This Jewish custom denotes the start of you and your spouse’s future humble abode. 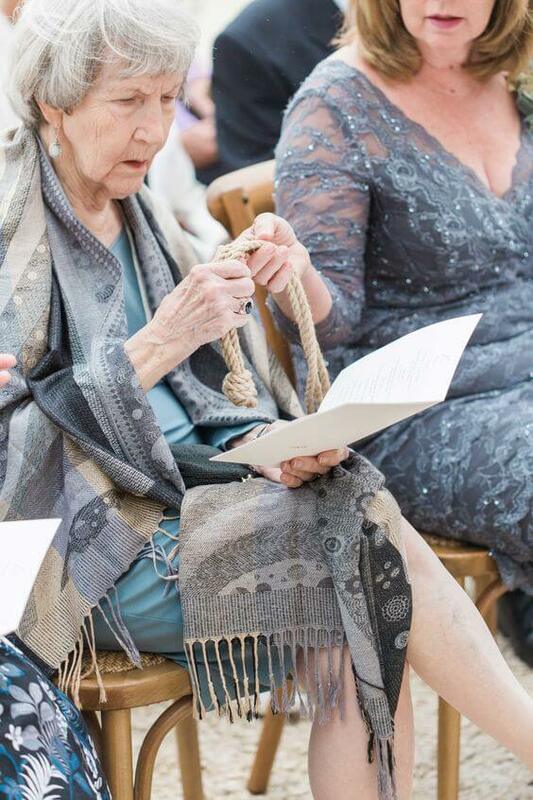 Passing a short fisherman’s rope among your guests is another extraordinary wedding custom. Doing so represents your guest’s approval and blessing to you and your partner’s wedding. Pouring of sand takes place when you combine the contents of 2 bottles containing sand in different colors in one holder. Doing so represents unity and harmony between you and your spouse. 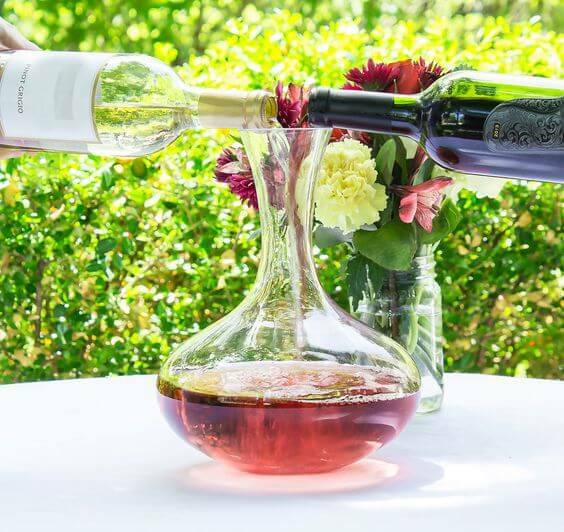 Mixing two varieties of wine in one cup on the other hand for you and your significant other’s families to sip is a wedding ritual done by the Jewish and Catholics. 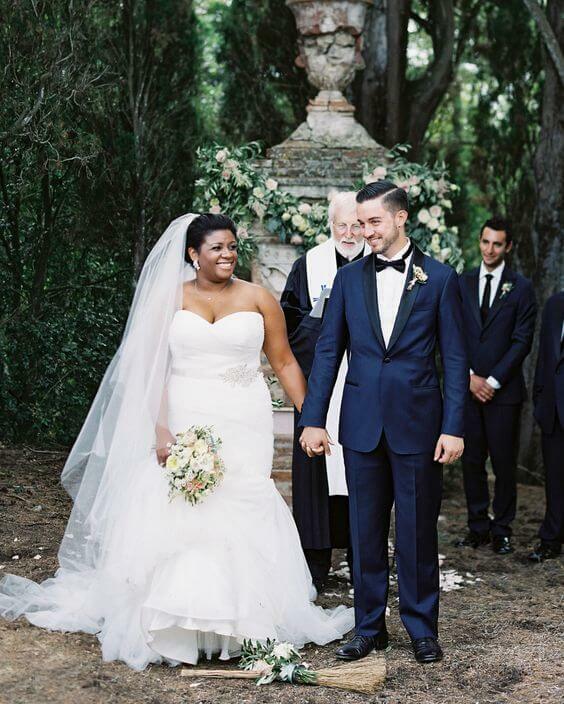 Doing the custom symbolizes your new life as a married couple. 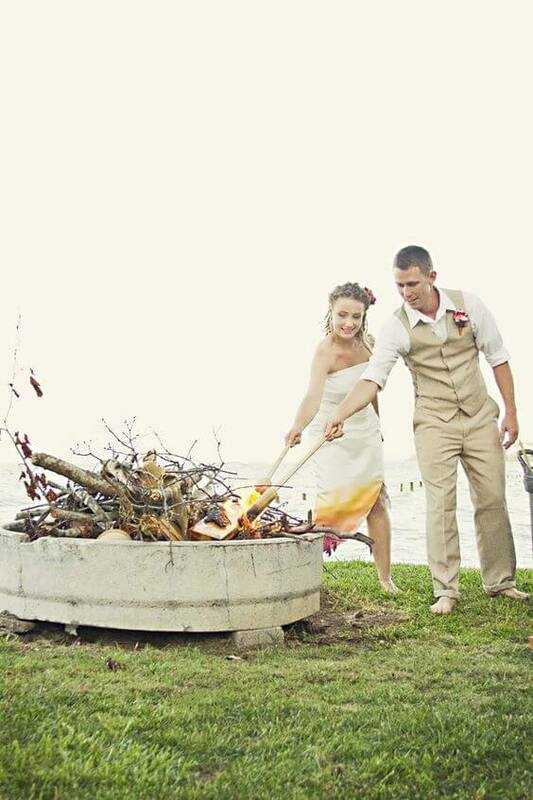 Lighting a fire alternatively during your wedding symbolizes you and your significant other’s binding together as one. 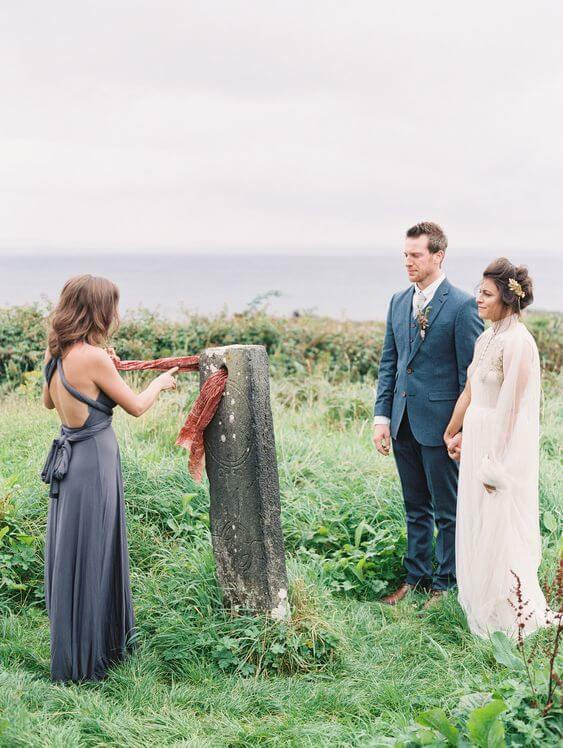 In order to practice this Celtic wedding custom, you and your partner’s fingers should touch base with each other inside the hole of the sundial. Just like the other wedding customs mentioned above, the ritual signifies your togetherness and unity as a married couple. Close family and friends may give their blessings by putting a scarf inside the hole three times.